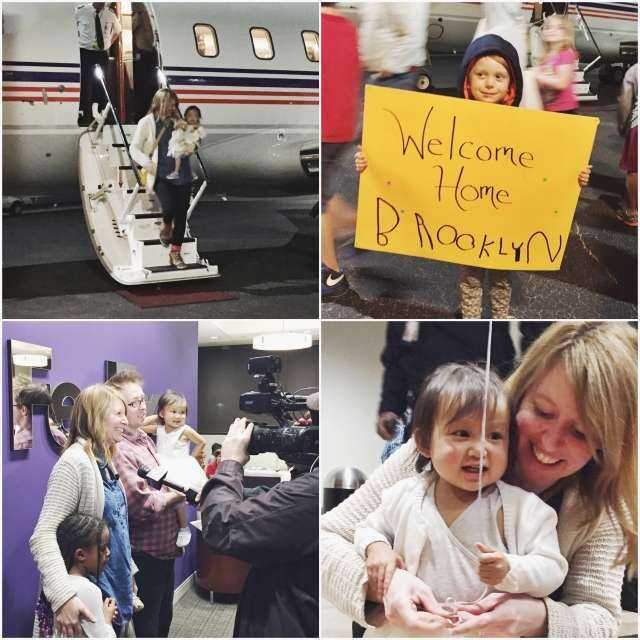 Remember how FedEx quietly whisked Brooklyn and her family away to Chicago in a massive snow storm when there was little hope-- getting her to the hospital just in the nick of time? For free. Just because they would want the same done for their own babies. Well-- those airplane angels did it again! They gave a HEALTHY B and her amazing big sister Rhet and their parents one last ride of a lifetime all the way home to Memphis. Memphis-- you may not always be hip and shiny new... but when it comes to it you SHOW UP. You love hard. You follow through. Memphis-- you helped save this little girl's LIFE. Thank you. Thank you. Thank YOU. Let's keep spreading the word so we can finish off the rest of the money that will be needed for follow-ups in Chicago and allllllllll that medication. And after that? Let's teach our kids that this is what Memphis does. Let's keep showing up. Let's keep loving our neighbors well. Let's never forget that little by little, together we can rewrite stories.